Property managers know that one of the top operating costs you can often control: utilities. Energy costs truly do add up, so here are some of the top ways you can manage energy costs in your building. Preventative maintenance may just be the foundation to controlling your energy costs. Not only do you need things clean, but you want your HVAC to be at peak efficiency. Don’t put off or delay part replacement and ongoing maintenance. People in your building may not know the impact keeping windows or doors open may have. They also may not be aware of what impact changing the thermostat has. You never know how much education they have around heating and cooling; when appropriate, be open to the idea of teaching them some of the key ways they can help to minimize energy consumption. Once they have the knowledge, they’ll be more likely to take the steps to change some of their habits. One of the greatest ways you can stay on top of what’s really happening in your building is to drop by and to see what’s going on inside. Are people opening up windows? Are doors left open or propped open? Do you notice that people have space heaters on? Or are there many vents that have been closed by building tenants? Or maybe people aren’t turning lights off at night. There are countless scenarios you may notice, but the point is, doing a walk through your building can help you know more about what’s really happening with your heating and cooling. Energy audits tell you just where you can improve efficiency (or waste) in your building. We often recommend this as a first step because it shows just where and how energy is being used. If there are unknowns, certain energy spikes, or trends in your energy consumption, you want to be able to know the “why” behind it. Then, once you take steps to optimize energy usage, you can then use these findings to help you know if or when your system is not running as efficiently as it ought to be. Just as maintenance can sometimes be delayed or neglected, never neglect a repair or when you think you may have a repair. Broken or malfunctioning parts can a do a lot of damage to your entire system, and at minimum, it will make your system perform less efficiently. There are so many sustainable and innovative options today that can be affordable and have a great ROI. Whether that be a more appropriately-sized system or a variable refrigerant flow system or a smart system, ask us if you’re interested in learning about custom solutions to help your building better control energy costs. 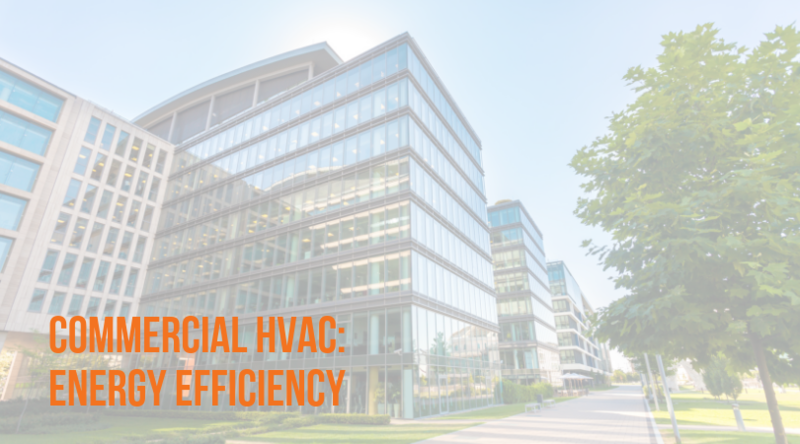 One of the biggest ways we see energy waste is with the design of a building and/or the design of the HVAC in that building. Ask us if you want an evaluation that can look beyond just how energy is being used today. The solution may be something like a change or upgrade to your system or it could be insulation added to your office. Or, perhaps it’s a recommended change to blinds and shades, among other potential changes you could make at any point. We’re not here to pressure you, but we are here to keep you informed of the best ways to save energy. One of the best investments you can make is a programmable thermostat and other smart technology. These allow you to better control temperatures and air quality AND they allow you to get feedback on the program you’ve selected. These minimize the energy consumption when no one is in the building and they help you better track your actual usage. The best part is many of these systems can be implemented with little investment or at least an investment with a clear ROI. Other smart solutions: there may be suitable smart tech for your office furniture and there are even solutions that allow you to have smart lighting in places like bathrooms, hallways and even parking lots. Just because you remember to change out your air filters at home regularly doesn’t mean you remember to change them out just as regularly at the office. You may even need to change them out more often than at home. Ask us for specific on your system(s). Investments you make in your HVAC system can have a short-term payoff, plus they can actually help building occupants stay more comfortable than ever. Some of these changes—such as thermostat controls that turn down the temperature on the weekends and smart lights that are activate only when people are present—employees wouldn’t even notice! Whether it be short-term solutions or long-term solutions, give Greater Comfort a call today at 859-491-4915 for your free project estimate.